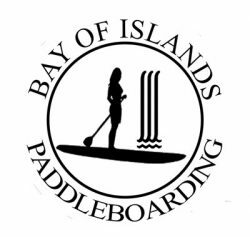 ‘Learn & Explore by Paddleboard in the Bay of Islands’, we take our clients to the best locations where they are able to learn & explore by paddle board in some of the Bay of Islands most beautiful places, through mangrove forests, secluded beaches or stand face to face with a roaring waterfall itself. 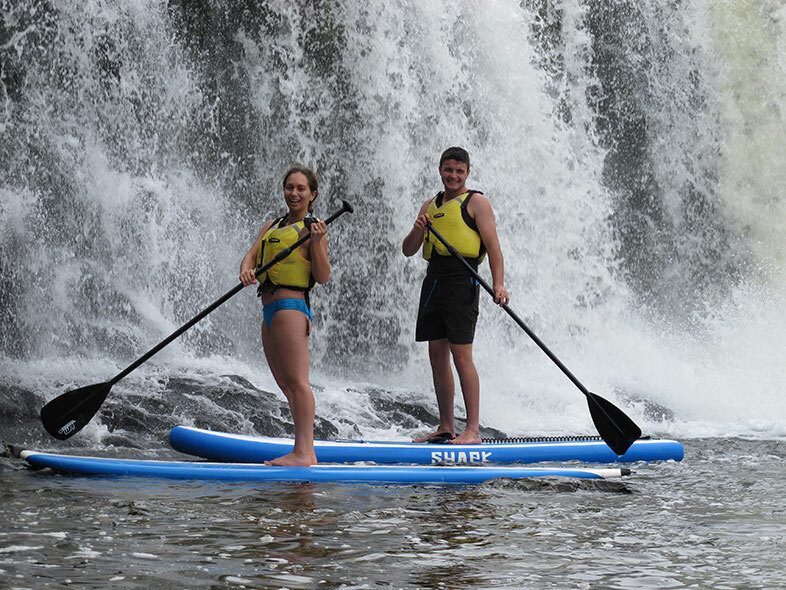 We also have a cruising vessel on hand which gives us the option to take all ages & experience levels.At the waterfall the fun & adrenaline starts, here even first timers can safely experience paddling in foaming white water or even paddle under the waterfall itself! 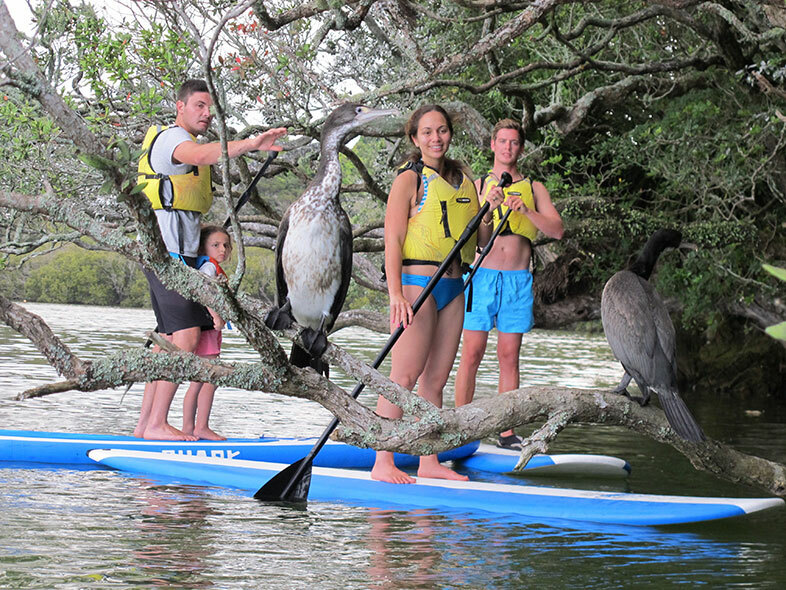 The ‘Sunset Safari by Paddle Board’ is our premium paddle boarding experience which offers the same as our learn to paddle board tour but has the added punch of white water paddle boarding with a glowing sunset or standing face to face in the dark, to a spotlit waterfall. At this time with captivating scenery & exhilarating waterfall there are millions of stars, rising moon, jumping fish, screeching Owls & Kiwis. 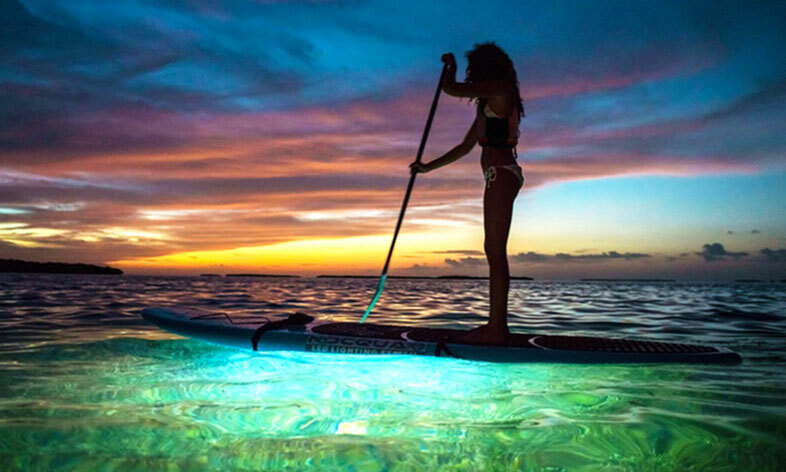 In the shoulder seasons paddling under a spotlit waterfall & seeing glowing luminescence is a high light.